Singer was responsible for many of the signature songs from the band and its off-shoot, Jefferson Starship. 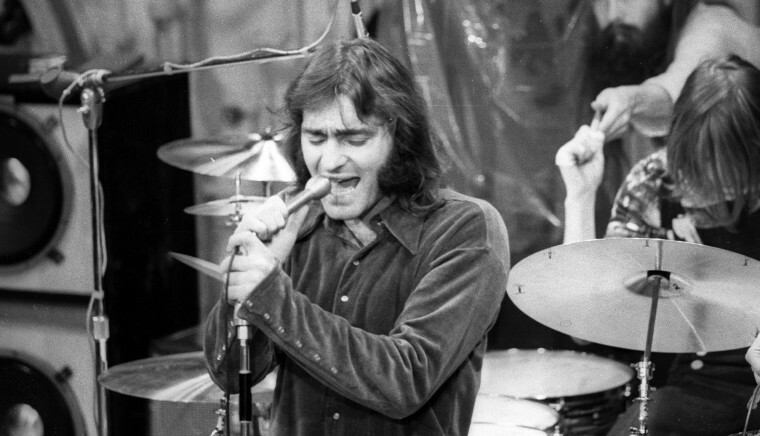 LOS ANGELES — Marty Balin, a cofounder of the band Jefferson Airplane and a member of its later incarnation Jefferson Starship, whose high and soulful voice defined many of both groups' songs, died Thursday, his rep confirmed. He was 76; the cause of death was not announced. His wife, Susan Joy Balin, was "by his side," according to the announcement. Born Martyn Jerel Buchwald, Balin was a young folksinger in San Francisco when he formed a band with fellow folkie Paul Kantner, who specialized in 12-string guitar. The pair teamed up with guitarist Jorma Kaukonen, bassist Jack Casady, drummer Skip Spence and singer Signe Anderson as Jefferson Airplane and released their debut album, "Jefferson Airplane Takes Off," in 1966. Anderson and Spence soon left the band and were replaced by Grace Slick and Spencer Dryden, respectively, and the group's 1967 album "Surrealistic Pillow"—featuring the Slick-sung hits "White Rabbit" and "Somebody to Love," along with several songs co-written by Balin—vaulted the group into superstardom. The harmonies between Slick, Balin and Kantner became a signature of the group's sound. Balin was a galvanizing member of both the band and the San Francisco scene, and in 1965 helped launch a club in the city called The Matrix that hosted many groups of the era, ranging from the Airplane, the Doors and Janis Joplin to the Velvet Underground. He sold his interest in the club after the Airplane's star began to rise. The Airplane issued several more albums into the early 1970s, played both the Woodstock and Altamont festivals and enjoyed further hits like "Volunteers," yet those two songs remain its signature. The group splintered in the early 1970s but several members, including Balin, Slick and Kantner, reunited as Jefferson Starship in the mid-'70s, and Balin's high tenor voice became a centerpiece of the group's sound via hits like "Miracles" and "With Your Love." That group splintered as well before reuniting without Balin several years later. Balin went solo and enjoyed a hit in 1981 with the song "Hearts." In 1989, he joined up with a short-lived Airplane reunion tour and returned four years later to Jefferson Starship, finally leaving for good in 2008. He underwent open-heart surgery in 2016 and later sued New York's Mount Sinai Beth Israel Hospital for medical malpractice, claiming multiple injuries from the operations. "Marty had a historic career as Rock and Roll Hall of Fame inductee, Grammy Lifetime Achievement Award recipient, and platinum and gold solo artist. Balin also enjoyed painting all his life. He painted vibrant, large-scale portraits of many of the most influential musicians and good friends Janis Joplin, Jim Morrison, and Jerry Garcia, to name a few." "Marty was the one who started the San Francisco scene," said Bill Thompson, Balin's roommate in the mid-'60s and former manager of both Jefferson Airplane and Jefferson Starship. "Back in those days Marty was quite the businessman" Paul Kantner, who passed away in 2016, once said. "He was the leader of the band on that level. He was the one who pushed us to do all the business stuff, orchestrating, thinking ahead, looking for managers and club opportunities. He was very good at it." Balin is survived by Susan, daughters Jennifer Edwards and Delaney Balin, and stepdaughters Rebekah Geier and Moriah Geier. "Marty and I shared the deepest of love—he often called it Nirvana—and it was. But really, we were all touched by his love. His presence will be within my entire being forever," Susan Balin said.